Pro-Line built its reputation and loyal customer base by building high-quality center-consoles and cuddy cabins for the small-boat fisherman and cruiser. With the addition of the 3310 Tournament Sportfish, Pro-Line hopes to break out of its small-boat niche by providing a top-notch fishing machine to satisfy even the most experienced captain and crew. We know you've heard it before, but with its express-style layout, the 3310 gives anglers the impression of stepping aboard a much larger vessel. A 63-square-foot cockpit adds to the big-boat feeling and is plenty large enough to accommodate a fighting chair as well as up to 6 anglers. FISHING TRIPS - The crew is skilled in fishing for Wahoo, Barracuda, King Fish, Tuna, Mahi Mahi, Sail fish and Marlin’s and will clean any catch for you to have cooked in one of the local restaurants. The boat takes a max group of 6 anglers on fishing trips. REGULAR PRIVATE CHARTER - This boat is also available for regular use charters. 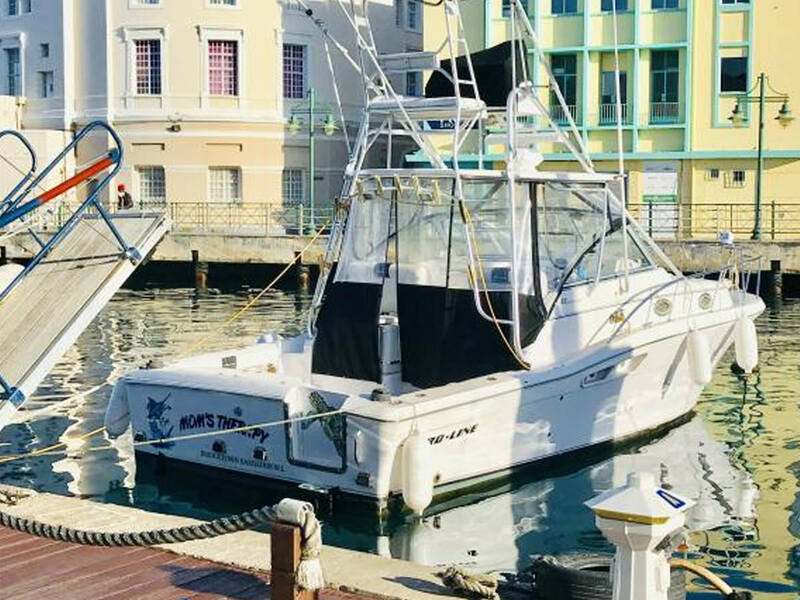 Rent this vessel for family days at the beach, snorkeling with the turtles, sunset sails or wedding trips or just to get away of it all in the privacy of your own boat rental. All trips include snacks and drinks on the half day trip, and they add a lunch on the full day trip. Max 14 pers. Spend the afternoon with us snorkeling shipwrecks and swimming with Sea Turtles. Shipwrecks full of fish and corals are in easy depths for you to view them snorkeling. The Sea Turtle Snorkeling trip is the most relaxing way to enjoy your snorkeling experience in shallow waters. Max 14 pers.